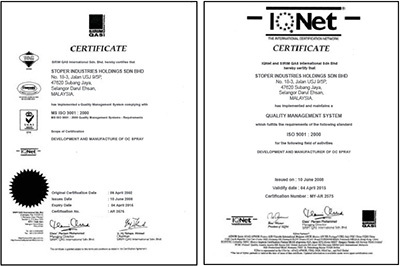 An ISO 9001:2008 Quality Management System certified company. Winner of 2008:2011 Security Award. We are proud to be a part of TARC’s campaign to promote safety. The Personal Safety. 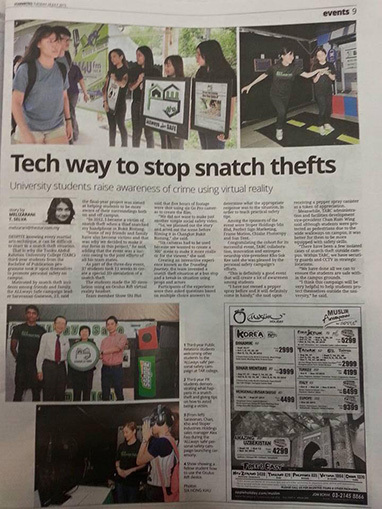 ALLways and always Safe Campaign news has been covered by Sin Chiew Daily once again! House”, 3D Life Experiences “Oculus”, affordable “Stopper Pepper Spray” and lots more!